That’s episode 31 of Radio Free Charleston, “GI Joe Shirt,” fully remastered that you see up above. This was just at the beginning of the Christmas season. 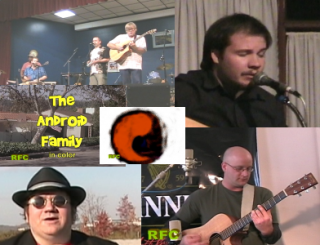 You’ll see the 2007 RFC Christmas show next week. 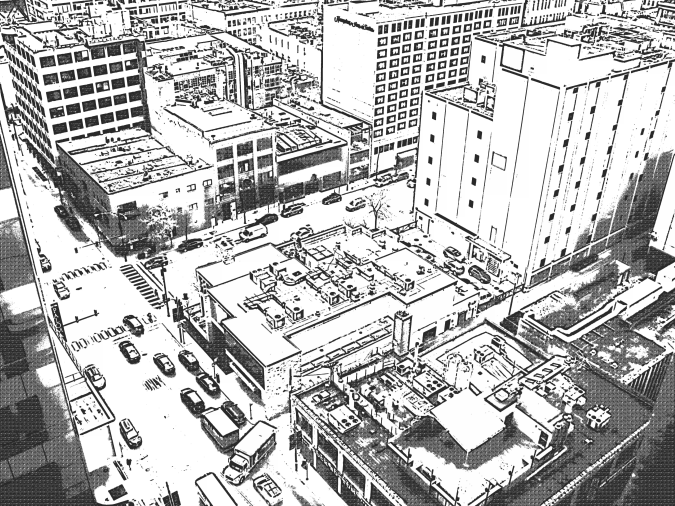 Originally from late November, 2007, this episode, hosted from the La Belle Theater, features music from Raymond Wallace and Doctor Senator, plus animation from Frank Panucci and news about then upcoming events in South Charleston, which are now many years in the past. Like I said, this episode of Radio Free Charleston is loaded with promos for upcoming events that, of course, already happened. You’ll see host, Rudy Panucci, give heartfelt plugs for The No Pants Players annual Christmas Show and IWA East Coast’s double-show, where they ran a high-flyer’s tournament and the first Masters of Pain show on the same day. This show also includes a promo clip for the “Best of Radio Free Charleston Night” at the LaBelle and a brief appearence of Kitty Killton before she was Kitty Killton. We never did get around to doing “Mad Man Pondo’s Celebrity Run-in” though. Our musical acts were Raymond Wallace, recorded in the lobby at LiveMix Studio, and Doctor Senator, recorded at The Sound Factory. Those two venues, sadly, are no longer with us. You can read the original production notes for this show, complete with dead links and junk HERE. 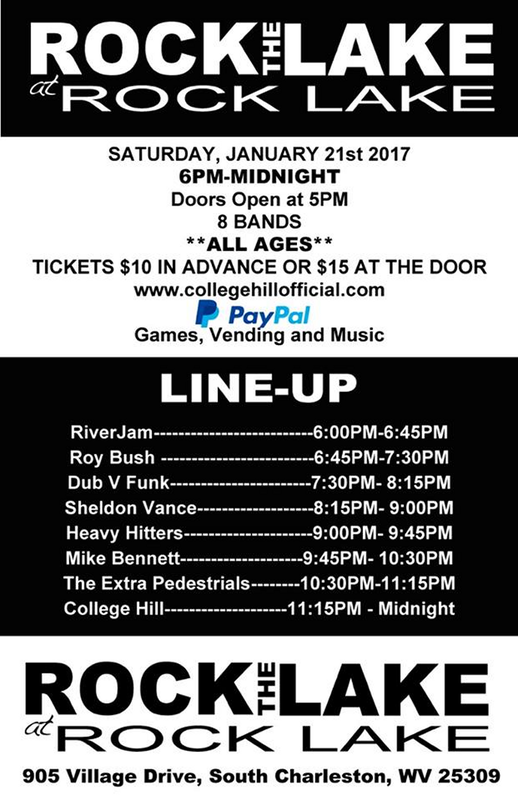 Next week, January 21 to be exact, a very special ALL-AGES show takes place at the site of Rock Lake in South Charleston. “Rock The Lake at Rock Lake” doors open at 5 PM and attendees will be treated to a killer line-up of eight local musical acts. This is your chance to hear some of the Charleston area’s brightest talents in a drug-and-alcohol-free atmosphere. This event will be held at the Community Life Center across the street from Rock Lake Presbyterian Church (905 Village Dr, South Charleston). Parking at the church is preferred. When the doors open at 5PM there will be games, food and a raffle. This is the first big all-ages show around Charleston this year and it’ll be great to shake out the Winter blues with a night of rock and roll. Tickets are ten dollars in advance (you can order HERE), or fifteen dollars at the door. Several freinds of Radio Free Charleston are on the bill, and if your PopCulteer is up to it, this will be the first recording session for RFC in over ten months. The International Toy Fair in New York is just about a month away, and unfortunately your PopCulteer cannot go this year due to a conflict with some medical tests for Myasthenia Gravis. However, I will do my best to remotely cover all the cool announcements about upcoming toys for 2017, and the news has already started leaking early from some companies. We’ll be bringing you the cool toy news as it comes in over the next several weeks, starting with today’s look at what’s new from one of our favorite companies. 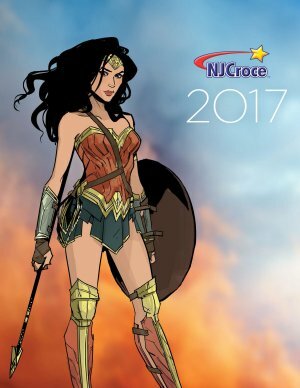 The pre-Toy Fair catalog from our friends at NJ Croce is loaded with tons of cool stuff and new products. NJ Croce is the company that makes cool bendable figures, including Gumby and Pokey and DC Comics bendies that you see everywhere. Keep in mind that the images accompanying this article are prototypes and mock-ups and may look quite different when they hit stores later in the year. You should start seeing the new toys we tell you about in stores over the next few weeks, but you can find their existing products all over the place now, and at Amazon. 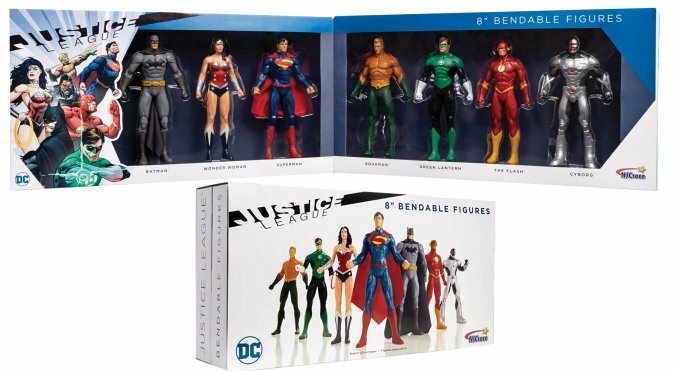 In 2017 they are expanding their offerings with a fantastic new line of 8-inch bendies of DC’s “New 52” Justice League, as well as new product lines based on the upcoming Wonder Woman movie, Where’s Waldo, Suicide Squad and Red Sonja and the big surprise, with no product images available yet, NJ Croce will be producing bendies based on Star Trek. The stunning 8″ New 52 Batman that we saw last year has spawned a whole new line of 8-inch bendable Justice League figures. Some of these will be available individually, but a few can only be found in the striking boxed set that you see above. This week your humble host was too lazy to cook up a unifying theme, so this two-hour blast of random cool music is way the heck more random than usual. We have one mini-set of four DEVO covers, but other than that, this show is all about clashes of musical stylings. We begin with Italian film composer, Ennio Morricone, and along the way we’ll hear tons of emerging bands mixed in with things like Peter Gabriel singing in German, Kawai Heavy Metal, neo-classical metal, bizarro Rockabilly and even classic rock. Plus we end it all with a mystery bonus cut! 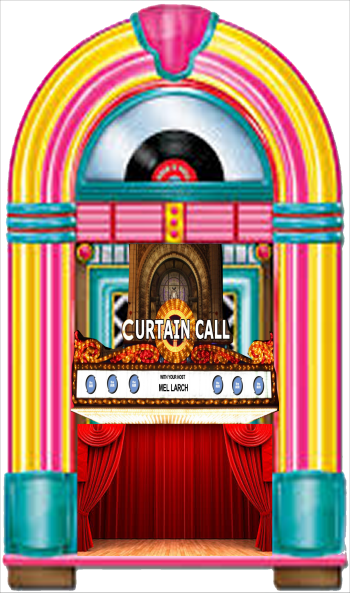 Curtain Call host, Mel Larch, brings you an hour of the best broadway musicals based on existing songs. These “jukebox musicals” include shows like Jersey Boys, Million Dollar Quartet, American Idiot and Mama Mia. In this brisk hour, Larch plays you tunes from these shows as well as stage musicals based on the works of Carole King, Billy Joel, Queen, the songwriting team of Leiber/Stoller and The Beatles. You’ll hear plenty of recognizable songs ranging from the early days of rock & roll to the power ballads of the eighties and more. Curtain Call can be heard on The AIR every Wednesday at 3 PM, with replays Thursday at 7 AM and 8 PM, Saturday at 1 PM and Tuesday at 9 AM. “1-2-3” from On Your Feet! A new year brings in lots of change and fresh starts, and Michele Zirkle Marcum talks about ridding your life of unwanted clutter as we begin a new year. As “life speaks” to you about those things you may overlook, Michele guides you to ways to streamline your life of unwanted possessions and draining relationships. You can listen to Life Speaks with Michele Zirkle Marcum on The AIR Wednesdays at 1:30 PM and 7 PM, with replays Friday at 11 AM, Sunday at 5 PM and Monday at 1 PM. You can also listen to archived episodes at her website. Local Music, Swing Music, The AIR has it all! At 10 AM and 10 PM Radio Free Charleston brings the local music to you with a show that includes Jeff Ellis and 40 Days, Lady D (Doris Fields), The Company Stores, Spurgie Hankins Band and more, opening with a fifty-year-old cut by The Rose Garden, featuring Parkersburg native, Diana Derose. Radio Free Charleston is replayed several times each week, including Thursday at 5 PM and Saturday at 10 AM and Midnight. 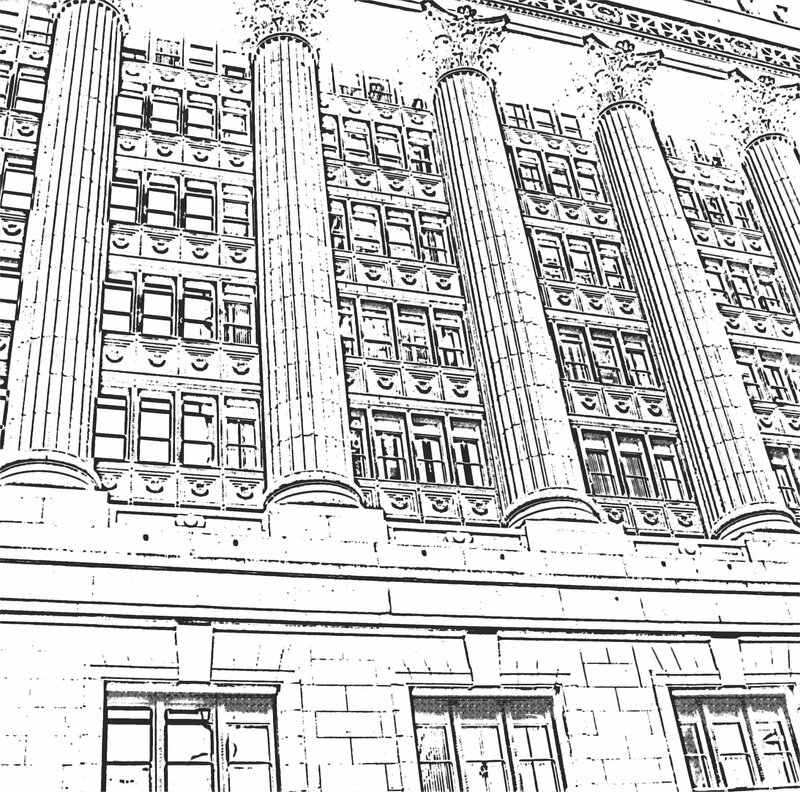 At 3 PM The Swing Shift takes over with a show filled with surprises. From Harry James shredding on the trumpet, to Swing Revivalists like Indigo Swing, The Brian Setzer Orchestra, Colin James and his Little Big Band and The Blue Saracens to The Mahatten Transfer and even Buddy Rich’s Big Band peforming a song that was also done by Emerson Lake and Palmer, this is one fast-paced hour. We even include a set of Electro-Swing to keep you hopping. The Swing Shift replays Wednesday morning at 7 AM, Thursday evening at 7 PM and Saturday at 9 AM. The AIR will also present a marathon, Swing All Night every Thursday at midnight. 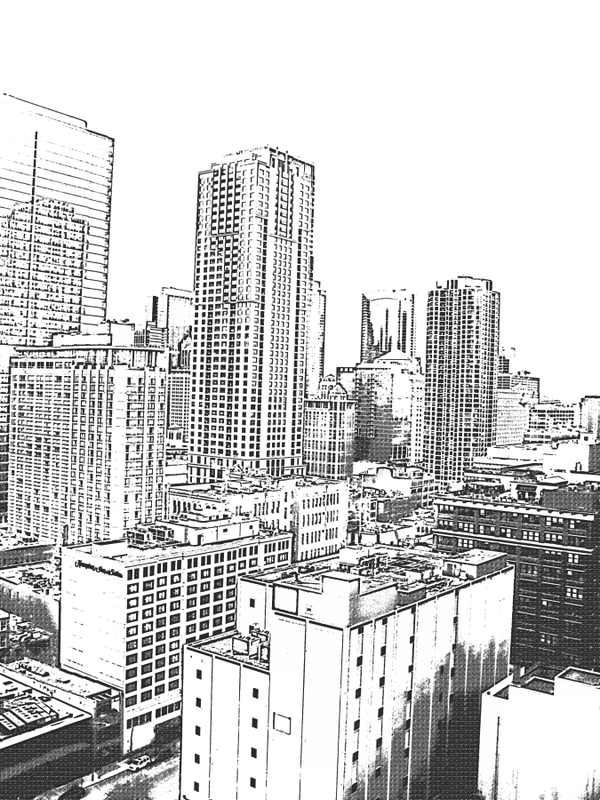 We are going to kick off this new work week with a trio of images of Chicago, run through the new and improved “Stark Charleston” filter, which you may remember from my unfinished series of animated short films from about six years ago. Though, to be honest, you probably don’t. 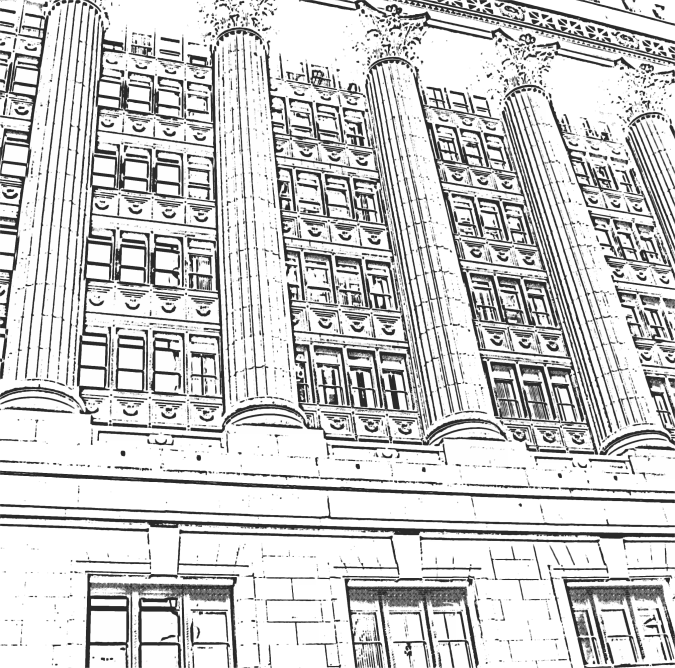 These are photographs run through a high-contrast artsy filter of my own tweakery that makes them look a bit like a detailed pen-and-ink drawing. But they aren’t. You can click on the images to see them bigger anyway. Sunday Evening Videos: Progressive Rock Rules! This week’s blast of videos salutes Progressive Rock, the viruostic, classically-influenced rock and roll that moved music forward into complex and intelligent areas that were deeply offensive to musically-conservative listeners who prefer to be spoon-fed formulaic dreck. Taking their cue from the Beatles and their musically-adventurous ways, progressive rock musicians pushed the envelope to breaking with challenging and often pretentious and pompous tunes that destroyed the musical conventions of the day, with extended song structures, bizarre time signatures, non-traditional instrumentation and unusual subject matter. At the top of this post you see The Progressive Rock Anthology, a collection of performances by Emerson Lake and Palmer, Curved Air, Focus, Rick Wakeman and more. Below you will find the Beat Club compilation “Frontiers of Progressive Rock,” with vintage performances by King Crimson, YES, ELP, The Nice and Soft Machine. 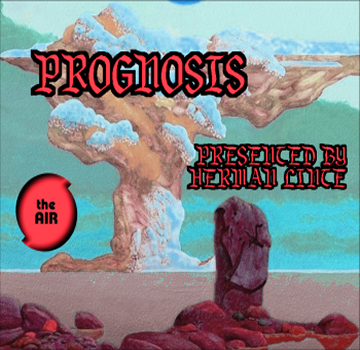 If you like what you hear in these videos, don’t forget to tune in to Prognosis, presented by Herman Linte, Mondays at 3 PM and Wednesdays at 8 PM, on The AIR. This week we go back to November, 2007, for a show that features the Radio Free Charleston debut of Mark Bates, who can still be seen performing around town and occasionally sitting in with The Carpenter Ants. In this classic show, he’s heard solo, recorded at the old Unity Church, during one of Ron Sowell’s open mic nights. Our other musical guests are most of The Voo Doo Katz, recorded live at the La Belle Theater in South Charleston, and RFC regular John Radcliff, performing in the kitchen at LiveMix Studio. We also feature animation and the first installment of “The Android Family.”You can read the original production notes, bum links and all, for this episode right HERE.